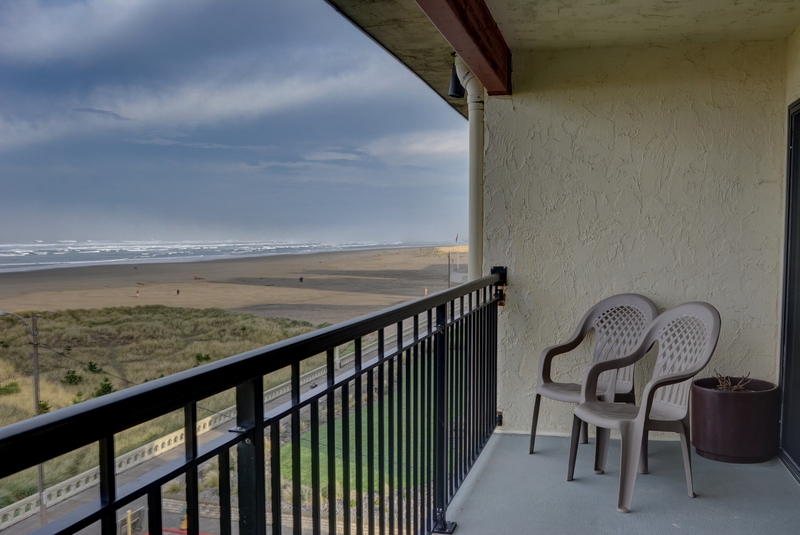 Come enjoy the spectacular view of the Pacific from this one bedroom, two bath top floor condo located on the Seaside prom. Only steps away from the beach, shops, and restaurants, convenience and relaxation can be found at every corner. Seaside Beach Club #403 has a full kitchen, a king bed, and a cozy Murphy bed, as well as a queen sleeper sofa to accommodate your family of six. If you want to relax indoors, the beach decor, cable TV and a selection of games are available to keep you entertained. It's only a short walk to the downtown area for plenty of sightseeing, shopping, great restaurants, an arcade, and bumper cars. 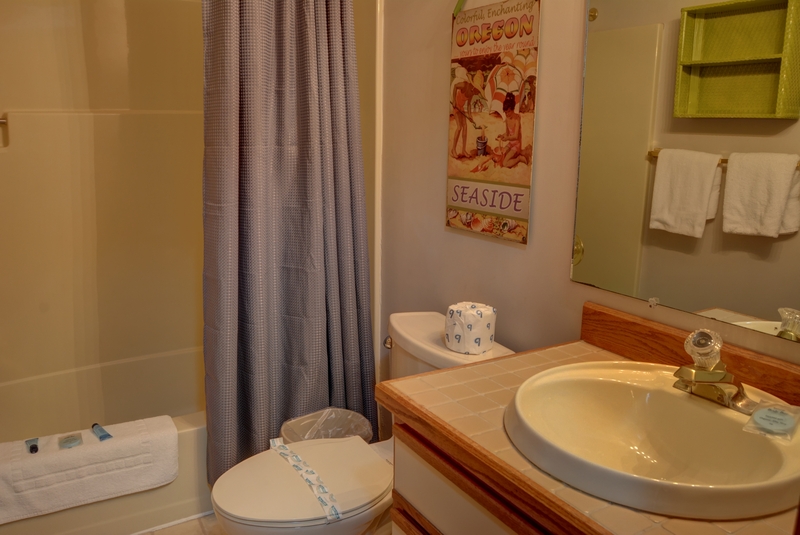 Book your Seaside vacation at Seaside Beach Club #403 today! BEACH ACCESS: Access to the beach and the Seaside Prom can be found directly in front of the Seaside Beach Club Complex. Parking is available for up to two vehicles at this home. Please note that boats, trailers, and RVs are unfortunately not permitted. This home is not pet friendly so please leave your pets at home, or make other arrangements for them. A coin operated laundry room is available for guest use. Please do not launder the towels from the unit - they are provided by housekeeping. "It was restful, relaxing, quiet, marvelous weather in the middle of November. Even the ocean was exceptionally calm. " "Hello Neil, Thank you for your review. We are glad to hear that you had a great stay at Seaside Beach Club 403. It sounds like you stayed during a perfect time this winter. We hope to have you stay with us again in the future. Thank you again for your review." "Great location, clean but a little dated." "Great family time and relaxing"
"Hello Brian, Thank you for your review. We are happy to hear that you enjoyed your stay at Seaside Beach Club 403. 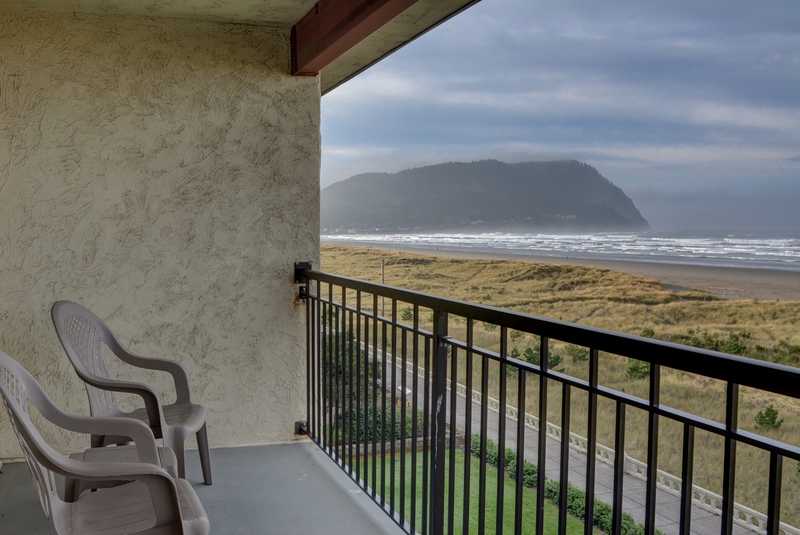 We'd love to see you and your family back on the Oregon coast again soon!" "A very relaxing condo with great walking and beach views! We will keep this property in our files to use again!" "Our stay was great! We love the Beach Club Condos." "We are glad to hear you enjoyed your stay and we hope to see you again in the future!" "Close to everything. Clean and well maintained. " "Hello David, Thank you for your review. We are happy to hear that you enjoyed your stay at Seaside Beach Club 403. We hope this means that you'll be back again soon! Thank you again for your review!" "This was perfect for my husband and I. Everything is within walking distance. I loved having the option that we can make our own meal rather than going out every night. It was clean and nicely decorated. The view is amazing! " "Hello Adrienne, Thank you for your review. We are so happy to hear that you absolutely loved your stay at Seaside Beach Club 403! We hope this means that you and your husband will be back again soon and staying with us on the Oregon coast! Thank you again for your review!" 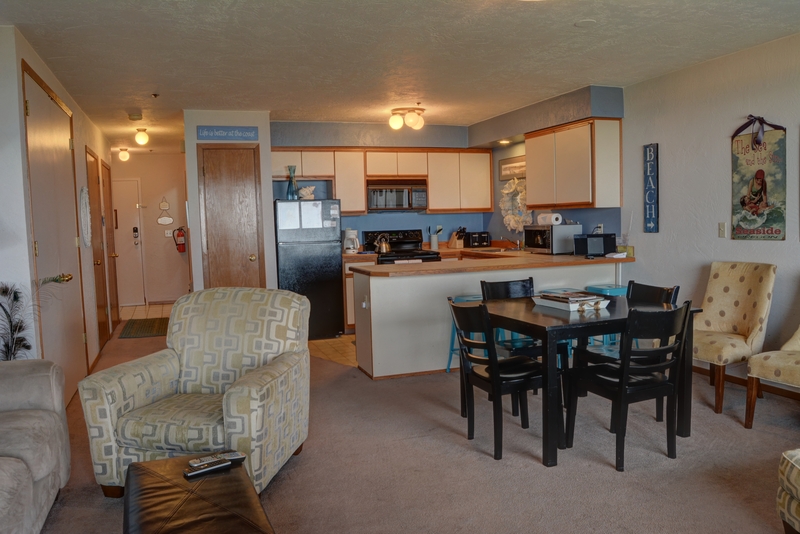 "This was our first time staying in Seaside & this condo was perfect. Nicely decorated, bed was very comfortable, the view from the balcony was stunning. The condo is right on the Prom so we didn't need to drive anywhere & beach access was right there. We especially loved the view Saturday night as there were many campfires on the beach. Can't say enough good things about this condo, we'll be back!!" "We have stayed here a couple times and love the location and view! This time there were some issues. elavator was not working when we arrived which ment four hanicapped guests had to get their belongings up to the 4th floor.The dishwasher was leaking, there were electrical issues in the restroom, and the carpet was not in the best shape. We want to use this place again but will be checking on these issues before we book." "The condo was great overall. Bed was comfortable, place was clean, complete with everything we needed. And the view was amazing. Only thing that didn’t work was the fan/exhaust vent in the kitchen. Didn’t seem like the microwave above the stove worked. But overall a great place in a great location." "Hello Miguel, Thank you for your review. We are glad to hear that you had a great visit to Seaside Beach Club 403. We are sorry to hear that the microwave didn't seem to be working. According to work orders, the microwave was recently replaced by the owner with a new unit. We are glad that you otherwise had a great visit in a clean unit. We hope to have you stay with us again in the future." "We love this place and want to keep it a secret! It has it all, see the ocean, easy walk to the beach and downtown( though I cant figure why go downtown when you have the beach!). " "Hello Connie, Thank you for your review. We are happy to hear that you loved your stay at Seaside Beach Club 403. We hope to see you again soon on the Oregon coast!" "Our rental was right off the Prom. We woke up to beach views every morning. Everything was within walking distance. Our room had 3 Queen beds and 2 bathrooms. This was perfect for us. There was no air conditioning so the condo would get hot when we locked up to go to town. Otherwise this was a great place. We will definitly book here again." "We had a fantastic stay at this rental!! Was very clean and welcoming. The beach view was amazing. I loved that it was close to all the stores but was off the main path because it was so quiet and relaxing! Will definatly be staying again. " "Hello Tiffany, Thank you for your review. We are so happy to hear that you loved your stay at Seaside Beach Club 403. We can't wait to host you again soon on the Oregon coast! Thank you again for your review!" "Top floor condo with a great view and location. On the boardwalk, a few steps from restaurants and shopping. Dated furnishings and bedroom needs blackout curtains. Wifi didn't work but company solved the problem immediately. We would return. " "Thank you Mr. Haythorn for taking time to send in your review. 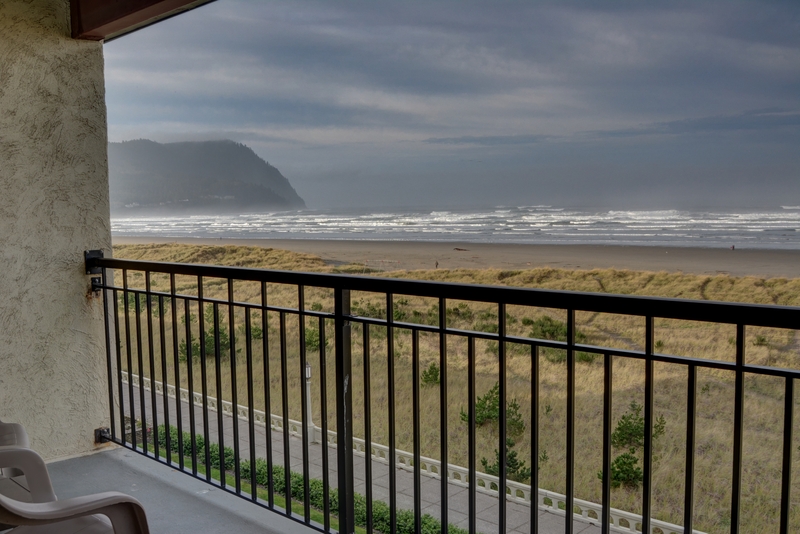 We, at are Oregon Beach Vacations are happy to hear you enjoyed your visit and the convenience to everything Seaside has to offer. Also, glad to hear the wifi issue was taken care of immediately for you. When you are ready to return we hope to be able to assist you in making those plans. Again, Mr. Haythorn thank you! " "The unit conditiion is poor, need revo for sure!" "Loved the vantage point of fourth floor overlooking sea. Watching clam diggers, dog walkers, night time camp fires and people watching from comfort of our room. Easy access to beach and promenade. Close to town so walking to find a meal or entertainment was ideal." "Hello Mary, Thank you for your review. We are glad to see that you enjoyed your overall stay at Seaside Beach Club 403. It sounds like you had a lovely visit to the Oregon coast. We hope this means you'll be back again in the near future!" "What a perfect spot for a great Oregon Beach Vacation. Sadly, this unit is way outdated. Tile grouted counter tops, old flaking gold fixtures. one of two microwaves didn't work. The TV never worked and instructions were confusing. The old furniture is sad, but more importantly very uncomfortable." "This was our first time staying in the this unit. Great location, well stocked with pots and pans for cooking in. . The cable in the bedroom was not waking at the time of our visit. The screen door to the balcony would stick. Door code to the unit stopped waking one day into our stay. Called the help line and was given the lockbox code to get a key. ( very nice people) would definitely rent this unit again . " "Hello David, Thank you for your review. We are glad to see that you enjoyed your overall stay at Seaside Beach Club 403. It seems that the issue of door locks is a problem at this particular condo, most likely to do with cell service interruption. We apologize for the inconvenience. We hope to have you stay with us again in the near future. Thank you again for your review." "The thing thats great about a home compared to a hotel is mainly the kitchen. Making some meals in the room before you head out exploring. This was the first one Ive been in with no cooking oil or anything that would keep eggs from sticking to pan. Some cheap coffee would be great and is usually included. And a sharpener for the incrediblely dull knives would have been nice. Great way location though!" 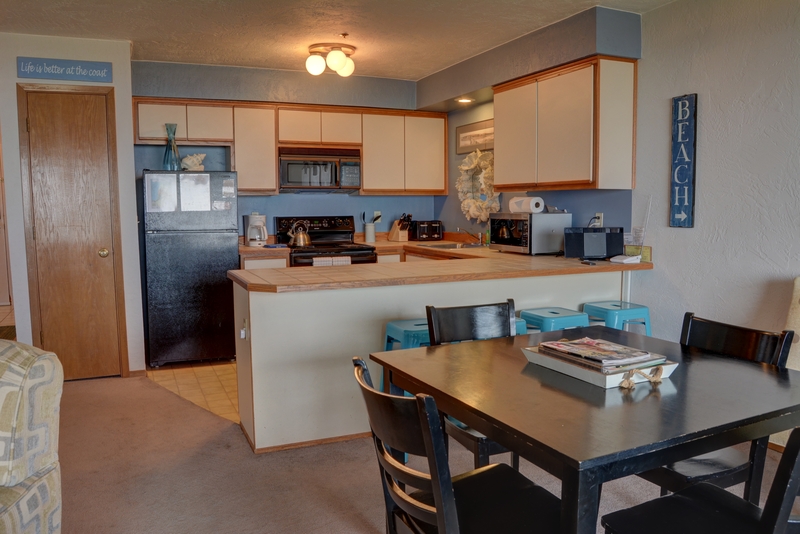 "Condo was a great location and great fit for us size wise. The microwave was not working or the WiFi. Everything else was great." "Hello Samantha, Thank you for your review. We are glad to hear that you enjoyed your stay at Seaside Beach Club 403. We are sorry to hear that the microwave wasn't working during your stay. We would have happily sent maintenance out to either fix or replace the microwave for you if we had been made aware of the problem. Please keep in mind for any future stays that our staff is on call 24/7 to assist with any problems you may encounter on your stay. As for the Wi-Fi, this unit does not offer Wi-Fi. We will look into getting the microwave fixed. Thank you for bringing it to our attention. We hope to see you back again soon on the Oregon coast. Thank you again for your review." "We love the location and the view. 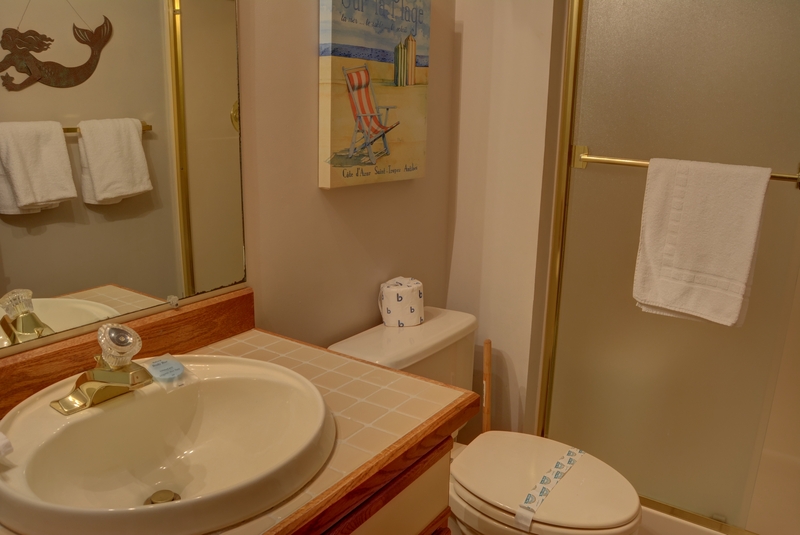 The condo is lacking some basic equipment such as a blender, the linens are worn but clean. We had to call property mgmt to fix shower glass slider, dangerous. The hide a bed is worn out both as a sofa and a bed. Carpet worn. The view made up for a lot." "The location and the view were great. The condo itself was dated, but clean.However we were under the impression the condo was non-smoking and it might be now, but sometime in the past it was not. It had a very unpleasant disinfectant odor which we assume was meant to cover up the stale cigarette smell." 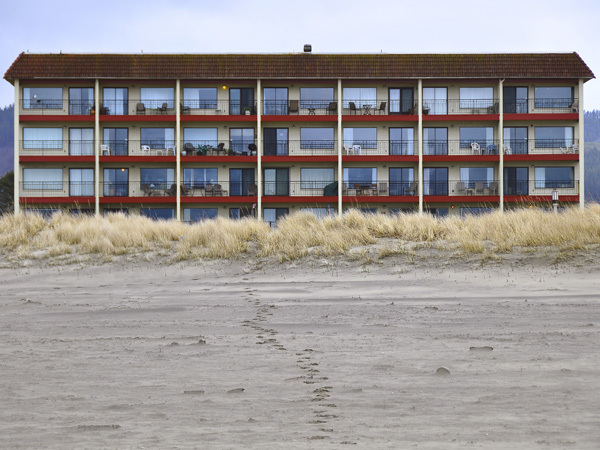 "Mr. Schierman, Thank you for your review of this unit at Seaside Beach Club. Our units we manage are non-smoking, however if a guest in a nearby unit is smoking with the door open, rather it be the front door or sliding glass door, we have found the odor does infiltrate into a non-smoking unit. The housekeeper or inspector most likely discovered this and tried to disinfect the unit with a spray to maximize the smell. We apologize if it was overwhelming during your visit. We are pleased you found the unit clean and enjoyed the wonderful view from the unit. Again, thank you and we hope to assist you in planning your next visit to the beautiful Oregon Coast." "The location and view we're perfect! The condo is older but basically in good shape but could have been cleaner. The sofa was broken down and uncomfortable and dirty. The beds were comfortable. The dishwasher was full of water when we opened it to use it and wouldn't drain. We reported it to the rental company but it was not repaired during our stay and we were unable to use it. The outlet in the master bathroom didn't work. We had plenty of towels which was nice. The cable TV was difficult to use and we never got the one in the bedroom to work. Even with the problems we had a great stay and enjoyed the ocean view!!" "We have stayed in many different units, but this was our least favorite. Needs updating and wifi, the bed was really comfortable though." "Hello Judy, Thank you for your review. We are sad to hear that you didn't enjoy your stay at Seaside Beach Club 403. As for your suggestions, we will let the owner know if we find that this is a common concern amongst our guests. Thank you for bringing them to our attention, and we hope to see you again soon on the Oregon coast. Thank you again for your review." "The stay was comfortable and homey. Did need some upgrades but managed it all though. " "Hello Geoffrey, Thank you for your review. We are happy to hear that you enjoyed your overall stay at Seaside Beach Club 403. As for your concerns with the unit, we will look into this, and if we find that other guests have similar complaints, we will let the owner know about them. Thank you for bringing it to our attention. 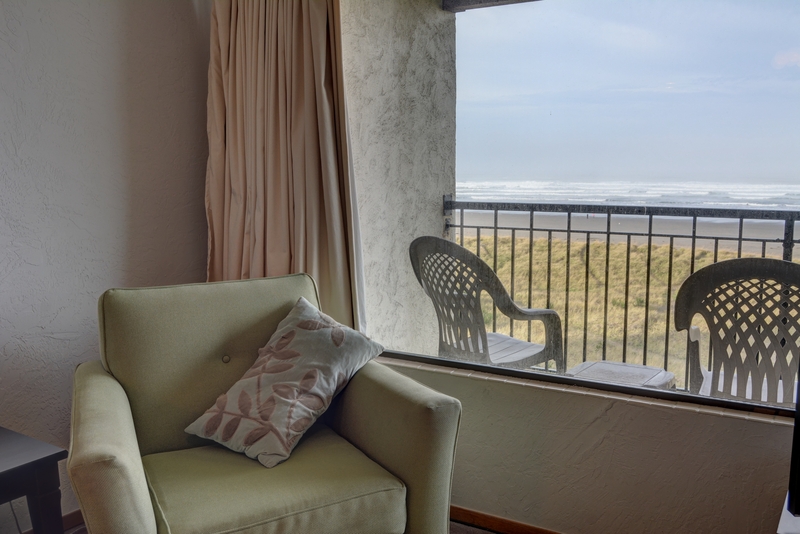 Thank you again for your review, and we hope to see you again soon on the Oregon coast!" The rental was as advertised. "Reservation and check-in was good. They provided a lot of information. I received an email a few days before arrival saying that the dishwasher was broken and wouldn't be repaired before our stay. The TV in the bedroom didn't work. I called the number they had provided for problems and got a call back the following day saying that they couldn't send anyone out to fix it during our stay. I would expected a better response, and at least a symbolic refund, but didn't hear anything. So if everything works it's a good place to stay, but if something doesn't work you are on your own." "Needs updating, and a cleaning "